Keeping unwanted animals out of the garden can be a difficult and expensive project. After years of using conventional post and wire mesh fences and tired of all the digging and nailing and stapling to keep them in good shape, I came up with an unorthodox solution. Some years back, I had kept a small flock of sheep. In the barn there were still the metal panels that enclosed the sheep yard. 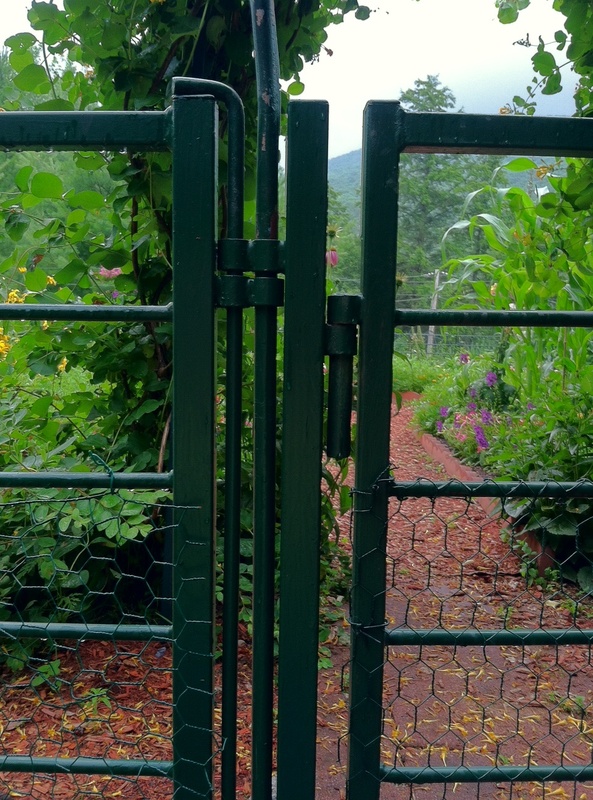 These heavy duty panels have been a revelation and I would recommend them to anyone who needs a simple, unobtrusive and strong fence around their garden. 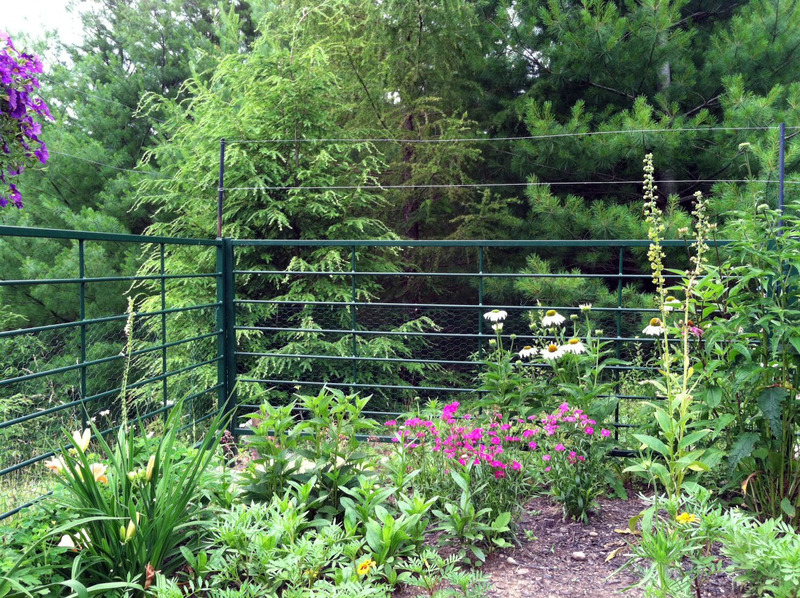 The panels interlock and are self-standing, so no need to dig holes for posts. 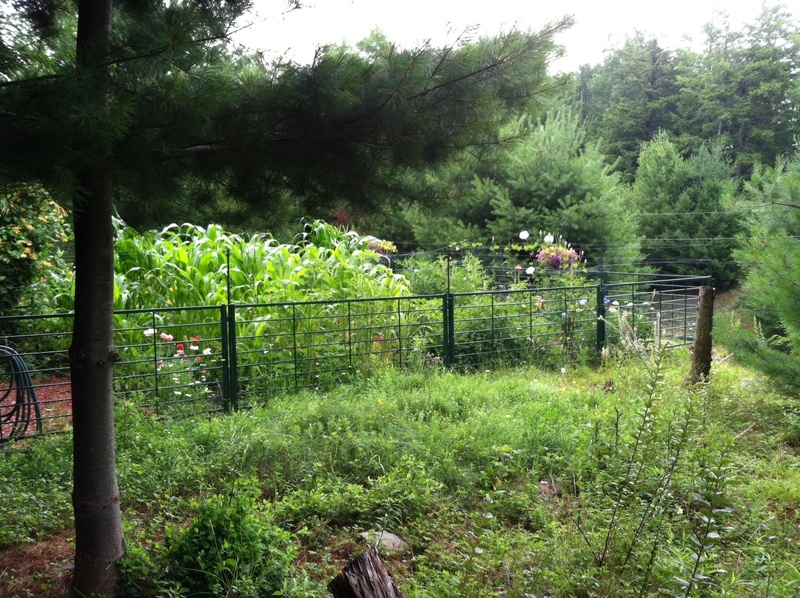 No worries about wood rotting and bringing the fence down – this fencing system is all above ground. The most critical part is to level the area as much as possible and add flat stones when necessary to make the entire fence of even height. A good coat of paint every few years is all the work you’ll need to do to keep it looking great. If you need to add height to make sure deer won’t be tempted to jump in, add some metal tubes holding a couple strands of wire. And if rabbits are an issue, cover the lower two feet with chicken wire. It works like a charm. 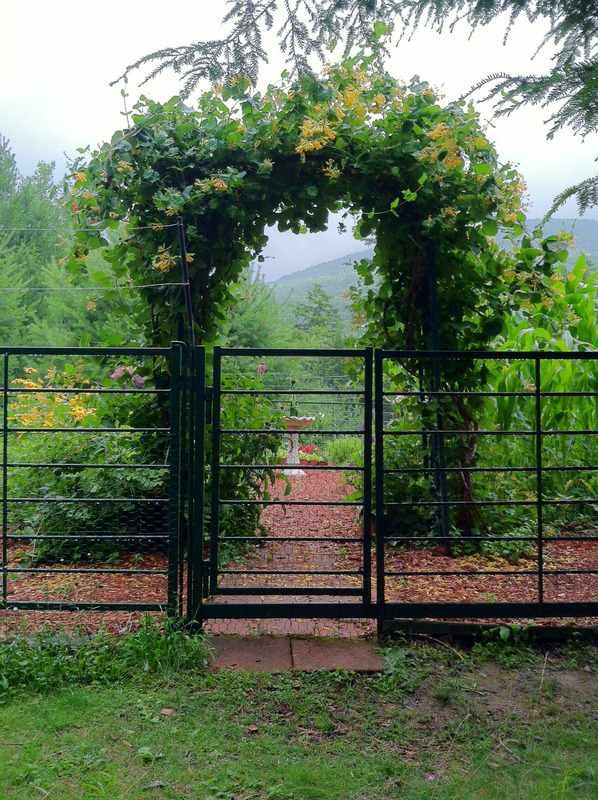 This entry was posted in Plants and tagged Animals, Fences, garden. Bookmark the permalink.